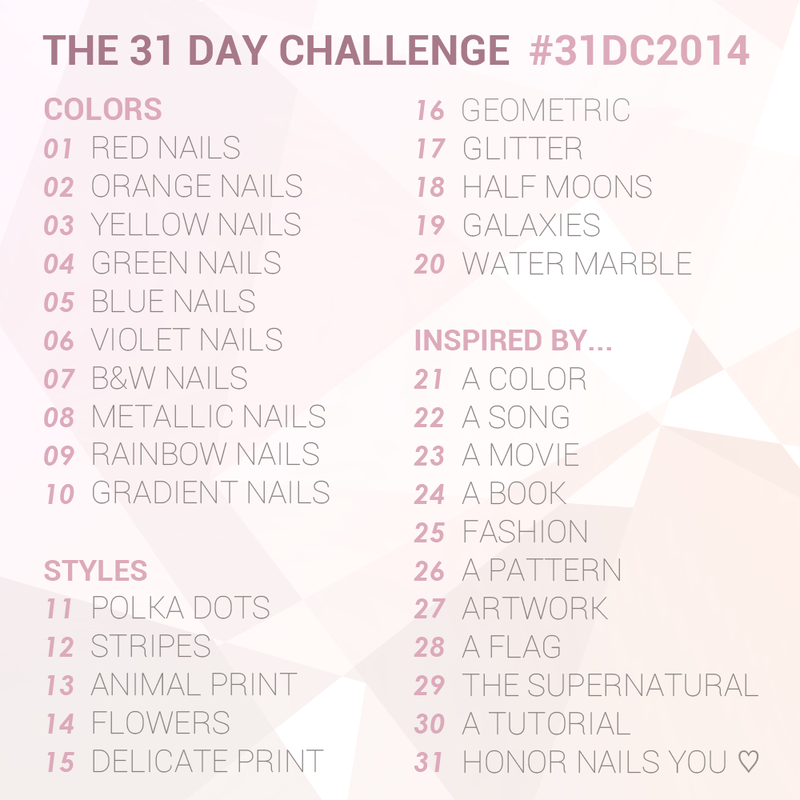 Colourize Me: Starting Fresh - Blog Goals For 2014! Starting Fresh - Blog Goals For 2014! Hej igen! Hur har ni det? Min superstressiga period är över. Jag tänkte börja mitt bloggår med lite mål jag hoppas att jag uppnår under 2014. Jag har tänkt på att göra ett inlägg med favoriter från 2013 men jag vet inte om det blir av. Vi får se! Målen kommer finnas under en flik här uppe och kan ses när som helst under året. Hello again! How are you? My super stressy period is over. I thought that I should start my blogging year with some goals I hope to achieve during 2014. I've been thinking of doing a favorites of 2013 post but I don't know if I will do it. We'll see! The goals will be published under a page and you can view them whenever you want during the year. Post more often, at least three times a week. The last year was full of excuses. This year I really need to get things done and start blogging for realz. More nail art, more different kinds of nail art. I really want to do another water marble, and I would love to be better at freehand nail art. Do a serie of posts with some kind of theme. I love posts with a theme, like Helenas (Lacky Corner) Readers Choice, or Cris (Let Them Have Polish) Muffin Monday/Truffle Tuesday. Something like that. Get 100-200 followers on Bloglovin'. I have 85 followers on Bloglovin' right now. I've been blogging for almost two years and I never really cared if I had a tone of followers or not. So now I think I actually deserve to have this goal, 'cause let's face it, it is more fun to blog if you know that a lot of people like to read what you publish. Keep my untrieds under 100. I have 175 untrieds right now. I feel so bad for them. Swatch the polishes I've tried. I need to take more pictures of my polishes. I have used a lot more than I have photographed. More reviews of products and stuff. Do you know how many reviews of none-polish products I have done? I don't even know if I've done ONE. And I use a lot of other products, like files, moisturizers and nail art stuff. I want to review those things! Make this blog (and my collection) compleatly cruelty free. Don't think that I need to explain this one. I want to get rid of polishes that isn't cruelty free. I want to go compleatly vegan, but let's start with cruelty free. So that's that! What do you think about my goals? Did I miss anything? Kan ge mitt bidrag till målet om 100 följare på Bloglovin i alla fall! Väldigt bra mål! Jag ska nog också försöka skriva upp mina.